When 7 out of 10 residents own a bicycle, and the city’s main bike path is often snowplowed before the roads, AND it has more used bookstores per capita than any other U.S. city, can you understand why I’m so excited to have a new selection of my mobiles spinning soon in Boulder, CO? The fine folks at Boulder Furniture Arts (www.boulderfurniturearts.com), especially Design Consultant Extraordinaire, Hannah Rogal, are simply amazing – both in their creations and their collective mission and vision (and they’re just super nice, too); merging storytelling with fabulous craftsmanship. I’m honored to be a part of their newly-opened second showroom location in Boulder. As I type, a small army of mobile-packed boxes are speeding on their way a mile-high up into the Rockies. 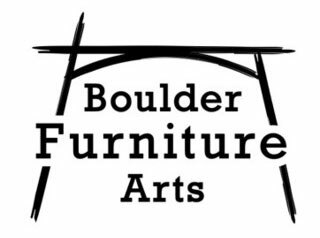 If you’re in Boulder (and aren’t zipping down one of the amazing singletrack trails that are all within a stone’s throw), I enthusiastically encourage you to check out the second-to-none imaginative and crazy stylish furniture at Boulder Furniture Arts and say hi from me.